You are currently browsing the tag archive for the ‘Andrea Goldsmith’ tag. A screen grab of what goes through my head when I’m interviewing an author. An indisputable joy for me over the past five years has been interviewing Australian authors for literary journal Verity La. The interviews are conducted by email: I start with a question, the author responds, I ask a follow-up question, the author responds to that, and we keep going like this until we’ve reached a conclusion. Although I’ll have one or two questions prepared in advance, never have the interviews ended where I’ve expected them to, and I’ve learnt to follow the energy in the conversation, and allow the process – which isn’t far from writing letters to each other – to go into personal or dangerous territory. This part of the process can take a week or two, a month or two; some interviews have taken the best part of a year. Once an interview has reached its natural conclusion, I bring it all together (keeping the order of the questions and answers as they happened), do a light edit, mostly for the purposes of consistency and to meet the editorial guidelines of Verity La, before I send it back to the interviewee for edits and clearance. This final stage in the process is critical: it allows the author to see her or his responses as part of a whole and also take the opportunity to make changes – and they almost always do, due to a desire to improve clarity and/or flow, or because, perhaps, it might be better to be more diplomatic, especially as the National Library of Australia archives Verity La. With the publication of the most recent interview, with Biff Ward, the author of the extraordinary memoir In My Mother’s Hands (Allen & Unwin, 2014), I thought it might be timely to prepare a bouquet of some of the most memorable observations, primarily about the writing process. The Beach Volcano cover: stony, bony goodness. There’s something about visibility, coming out of the shadows, being seen. But the visibility I’m talking about is more than that – it’s about exposure, true exposure, so much so that it’s frightening. Of course, I am being just a little (or quite a lot) dramatic. Because all I really want to tell you is Blemish Books have released the cover for the third and very much final novella of mine, The Beach Volcano. You can see it right there, accompanying this post, in all its moody, melancholic, mysterious…is ‘beauty’ too strong a word? Perhaps not. I love it, the cover (and wouldn’t it be terrible to say that it’s not really my cup of tea). The stones in their gun-sight pattern; they’re also reminiscent of dinosaur bones. It’s just so very apt. Though what would I know. All I’ve done is spend the last four years trying to make the story sit up and sing (and ‘sing’ , let me tell you, is just as appropriate as those bone-like stones). The Beach Volcano follows I’m Ready Now (2012), which took two and a half years from first draft to publication, and Fall on Me (2011), which shot out the gates at a mere 18 months. I should say, however, that all three of these novellas existed as ideas in my journal for some time before the first pen-stroke on the page. I wrote down the thought that would become I’m Ready Now in 2003, nine years before publication. 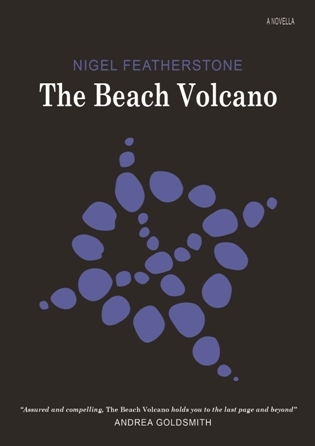 Surprisingly (to me) the initial scratchy recording of The Beach Volcano is dated January 2010, a mere five months before the first draft, but that was four and a half years before publication. What’s happened since the first draft? Rewriting, editing, polishing, delete delete delete, rewriting, editing, polishing…until nervous exhaustion set in. Again I’m being ridiculously over-dramatic, though there is some truth to what I’m telling you. But what’s the bloody thing about? How should we deal with what’s lost? And how should we deal with what’s to become, something unknown but so very much desired? After years of estrangement, Canning Albury, a revered and irreverent singer-songwriter, returns home to celebrate his father’s eightieth birthday. His welcome is mixed, at best. But Canning has made the trip for more than just a glass of Pol Roger and an eyeful of Sydney Harbour at sunset. He carries a secret about his family’s murky and uncharted past—a secret that could be explosive. The Beach Volcano is a fearless exploration of life’s many compromises, and the burdens we bear for those we love. Nigel Featherstone’s new book plunges into the loves and loyalties, the secrets and outward appearances of the wealthy Albury family. This is an insightful and at times disturbing story. 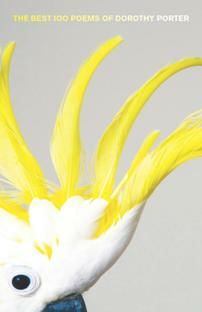 Assured and compelling, The Beach Volcano holds you to the last page and beyond. How does that make me feel? Grateful. So very grateful. So, that’s the latest. Blemish is gunning for a late August/September launch from Canberra. And then, from that point onwards, a little book called The Beach Volcano will be out of my control. Is this really the end of the line for my novellas? I’m pretty sure it is. I’ve loved dreaming them into existence; I’ve adored hearing of reactions from readers. I can’t deny that the reviews and awards and short-listings have, in fact, meant a great deal, if only because they might have resulted in the novellas finding more hands (and hearts?) in which to be held. When all is said and done, it’s all just a drop in the ocean, isn’t it: three more books in an endless sea of books. 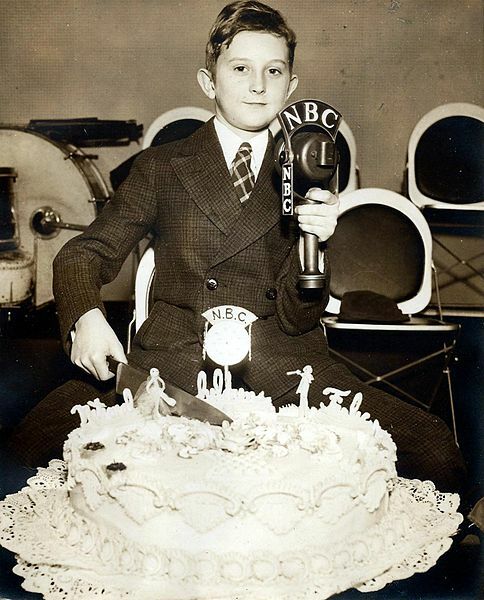 I’m just glad – say it again: grateful – that they’ve taken me on such a ride. A quick note by way of introduction: the following is not a list of what I think are the best books published this year; rather it is a list of work published at any time that I have read this year and have had an influence on me one way or another. Kicking off with poetry, I picked up Air Ship by Roger McDonald (UQP 1975) in a second-hand bookstore halfway through 2013 and I’m glad I did. 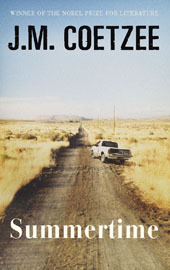 McDonald has spent much of his significant career writing novels that have had a deep impact on the Australian literary landscape and beyond. His ability to create a sentence that offers so much life and bounce and possibility is, I think, unequalled amongst contemporary writers. And that sense of life and bounce and possibility is present in McDonald’s poetry, even poetry written almost forty years ago. This year I began a habit of spending the first moments of a writing session reading poetry, and it’s Air Ship that has been the book of choice. It’ll probably stay on the desk into 2014. If there’s an Australian writer who came to change the way the broader community related to poetry it was Dorothy Porter. 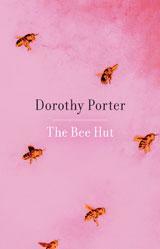 Best 100 Poems of Dorothy Porter (Black Inc. 2013), curated by partner Andrea Goldsmith, is a fine taster to Porter’s extraordinary intelligence, but also her playfulness, her cheek, and her great heart. Here’s hoping many readers will be tempted to discover new Dorothy Porter territories, such as Crete from 1996 or even Little Hoodlum from 1975 (interesting: the same year McDonald’s Air Ship was published). 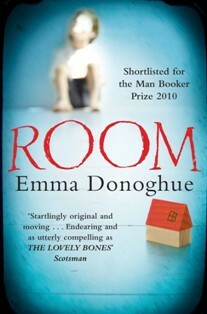 Room by Emma Donoghue (Picador 2010) had a physical impact on the way I live. No doubt there are better novels around, better as in reaching for and finding greater and more profound highs and lows, but I enjoyed Room because of the challenge Donoghue set herself: write about entrapment from an innocent child’s perspective, a child who knows no other world than the cell that has been made for him. It does lose some tension in the final stretch, but as soon as I finished the last page I went out and doubled the size of the chook run – I just couldn’t stand to see them cooped up for another minute. 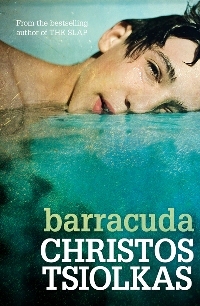 I’ve read and enjoyed all of Christos Tsiolkas’s fiction work and ploughed my way through Barracuda (Allen & Unwin 2013) in three sessions despite its hefty size. 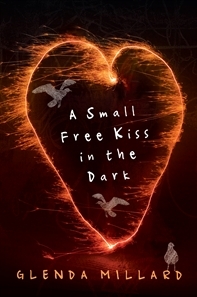 It’s a tough book, as can be expected, but it’s also Tsiolkas at his most tender. Australia is unreasonably obsessed with sport, and in Barracuda Tsiolkas goes straight to that particular jugular while also taking the hatchet to the privileged world of elite private schools; he reveals the violence that is so central to Australian mainstream culture and our many hypocrisies around class, race, gender, and sexuality. Despite this, Dan (or Danny), his central character, an elite swimmer whose life doesn’t become what he and everyone else wanted for him, is beautifully brought to the page regardless of – or because of – his many flaws. As others have noted, Barracada does lose some tension in the last third (like Donoghue’s Room), but the novel didn’t lose me. Staying on the theme of violence, I’m not a fan of reading about war: I’m bored by the strategic machinations, and the human toll can never be anything other than devastating; there might be heroes on the front-line, but every heroic action is blackened by a thousand more tragic ones. 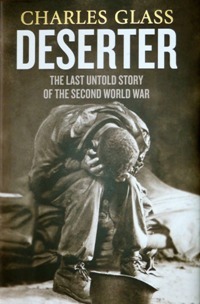 Enter Deserter: the last untold story of the second world war by the eminent US/UK journalist Charles Glass (Harper Press, 2013). What this extraordinary and important non-fiction work does is examine the lives of three World War Two servicemen: two from the US, one from England; with a forensic eye and ear for detail he reveals the diverse and multi-layered experiences of these men, and in doing so goes beyond the hero-versus-coward binary. 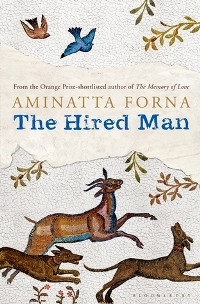 I still believe everything I wrote in the review, and I still believe everything Aminatta Forna wrote in The Hired Man. 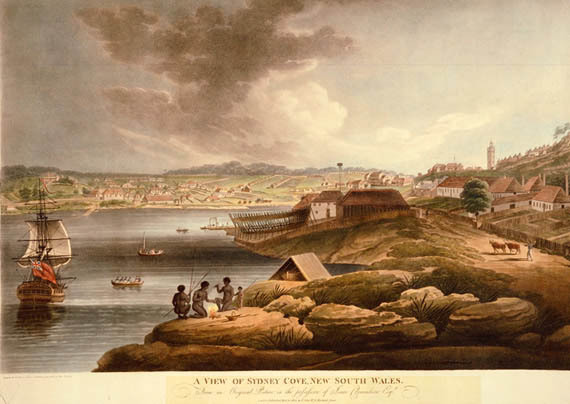 Sydney Cove back when it all started: are they ominous storm-clouds on the horizon or is it an approaching bushfire? It’s January in Australia and I’m hot and bothered. Hot, because that’s exactly what it is: for weeks now it’s been thirty degrees Celsius in the shade, some days thirty-five. Last Friday went over forty; Sydney, just two hours drive north of me, had its hottest day ever – it breached the forty-five-degree mark. Here at home the chooks have their beaks open and their wings out and hanging low, so I’ve covered their run as much as I can with an old tent-fly – it seems to help, for now. But hot is hot is hot and there’s not much I can do about it. And I can’t do much about the alarming waft of smoke as it comes into town and gets us coughing. Last week there was an automated message left on the landline: ‘Tomorrow’s bushfire conditions are CATASTROPHIC. Activate your bushfire survival plan now.’ I put the sprinkler into the garden and, rather uselessly, turned it on. All this is enough to make anyone hot and bothered, but it’s not all. On 26 January there’s Australia Day; yes, it’s come around yet again. So the flags are out and about: they’re being stuck on cars and utes and trucks, they’re hung in shop windows, and they’re sent flapping in front gardens, stating the bleeding obvious, but also as though staking a claim all over again. We do it every year, our national day to commemorate the beginning of British settlement, when Governor Phillip landed at Sydney Cove in 1788. I was born and bred here, my forebears arriving by boat only a handful of years after that adventurous governor. Despite this ancestral longevity, however, and whatever blood I have in my veins, and all my thinking on the topic, I don’t really know this nation of mine; as I age I’m understanding it less and less. So, this summer, this dreadful, pressure-cooked summer, I’ve turned to our writers for assistance, for succour even, because their imagination, observation and skilful way with words are surely better than simply hanging out a flag. Keep reading at Overland. Thanks to Jeff Sparrow and Jacinda Woodhead.